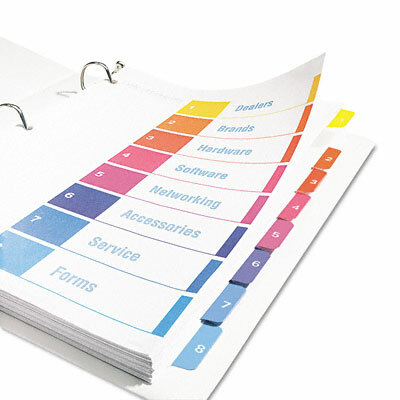 Print or photocopy titles framed with bright colors matched to preprinted tabs. Print or photocopy titles framed with bright colors matched to preprinted tabs. Now three ways stronger to last longer. Stronger heavier weight paper, stronger tab reinforcements and double-sided hole reinforcements.